Playfulness is the expression of our natural drive to freely and joyfully explore, engage, and connect with the surrounding world. Children First operates on a calendar similar to that of the Durham Public Schools. Children First serves 12 children ages 2 ¾ to 5, in one mixed age group. 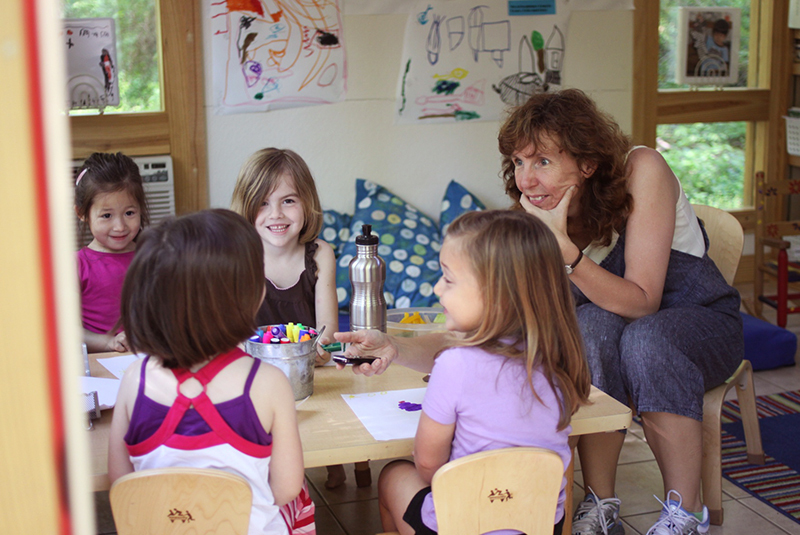 Children First is staffed by two full-time co-teachers. Donna King, the founding teacher at Children First, has an M.Ed. 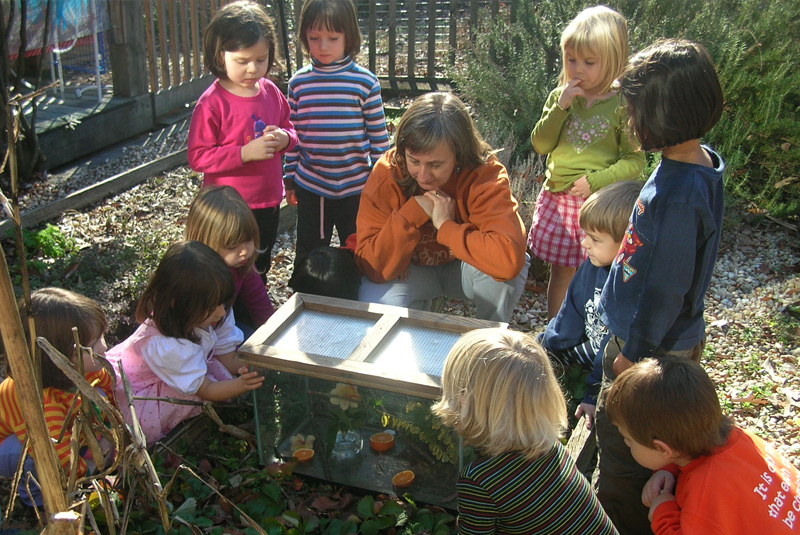 in early childhood development and thirty-three years of experience teaching young children. 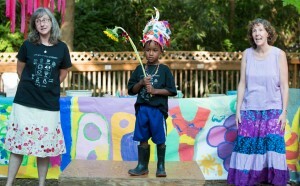 Each of Donna’s three children — Cara, 27; Anna-Grace, 25; and Josh, 22 — graduated from Children First. Sarah Meyer is an award-winning teacher with a M.Ed. in Elementary Education, and over twenty years of experience teaching children of many different ages. Her daughter Izzy, 18, and son Theo, 14, are also Children First graduates. Children First is a tax-exempt non-profit (501c3) organization. Tuition is set at the point where income offsets monthly expenses for teacher salaries, space, equipment, supplies and so on. We also work together as a community to raise at at least $6000 each year through donations and various fundraising events. Annual tuition for the 2019-2020 school year is $7850, or $785 a month for ten months. Children First is licensed by the State of North Carolina. License #3206032. At this time, we have elected to accept a “three star” (as opposed to a five star) license so that we can continue our commitment to creating curriculum focused on the emerging interests, passions, and needs of the particular learners who make up Children First in any given year (as opposed to adopting one of the specific state-approved curricula). Children First is a 501c3 non-profit organization governed by a board of directors consisting of current parents, teachers and alumni parents. Our federal tax identification number is 56-1706105. Children First is located at 1211 Carroll Street, on the first floor of the King-McClain’s solar house in the Morehead Hill neighborhood of Durham. Children First is a lifestyle! It has become an important aspect of our family and we are so grateful! From sight reading, to friends, to passions - nature, appreciating history and embracing art. Thank you Donna and Sarah for sharing your light with our children.